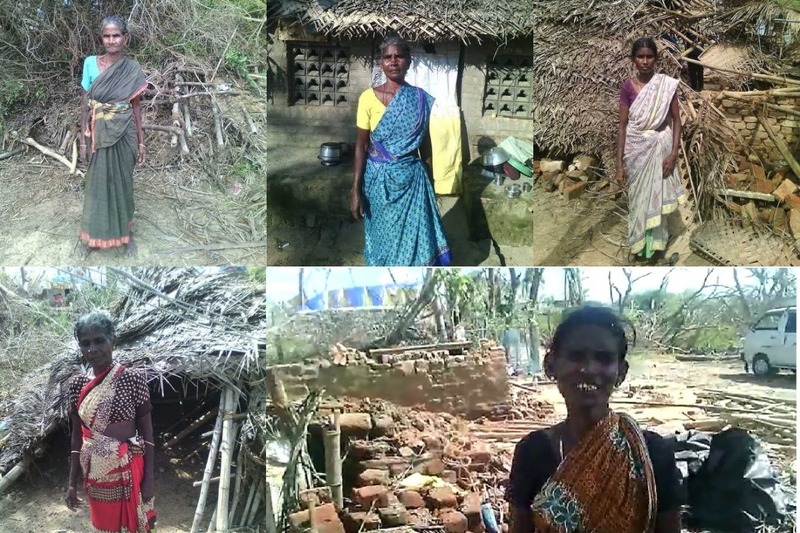 A Tamil group from Winnipeg, Canada has identified five widows who were affected by Cyclone Gaja who need immediate help. "My name is Tamizharasi. My husband died 10 years ago. My son left me 16 years ago and I don't know where he is. I lost everything in Gaja Cyclone, my house, cow and goat, and my belongings. Please help me." The estimated total cost to repair the women's homes and replenish some belongings is $5000. This is a small amount by Western standards but a lifesaving amount for Tamizharasi and the other four women. There is pressure to raise the $5000 as quickly as possible so that the women have adequate shelter before the monsoon season hits southern India. Your donations will be managed by myself James Manickam at www.tamilchristian.ca and $1000 will be distributed to each of the five women to rebuild their homes and lives. Any additional monies raised will be equally distributed to the five women.